All of the other venues must be green with envy this week because it's quite obvious that Haw River Ballroom is having the best week ever. This lovely music venue, located in the former Dye House of Saxapahaw's Cotton Mill, never disappoints. This week's lineup is no exception with three spectacular shows. St. Vincent, or Annie Clark, is a multi-talented musician who, in addition to writing thought-provoking lyrics, plays the guitar, bass, and organ. In an interview with Tom Murphy of Westword Blogs, Clark discussed her lyrics and explained, "I like when things come out of nowhere and blindside you a little bit. I think any person who gets panic attacks or has an anxiety disorder can understand how things can all of a sudden turn very quickly. I think I'm sublimating that into the music." If you were fortunate enough get to tickets before the show sold out, it's sure to be energetic and memorable. The doors open at 7 and Noveller starts the show at 8. Wednesday brings two more spectacular acts with Future Islands and Wye Oak. Future Islands hails from Greenville, NC and is used to living the tour life. They have performed more than 800 live shows since the group developed in 2006. The ability to capture the feelings of love lost, daily desires and disappointment is what brings people repeatedly to their shows. The lyrics and emotion are all too familiar for most people, turning listeners into forever fans. 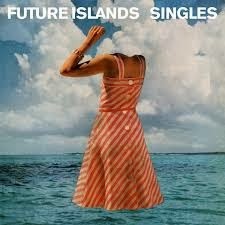 Their new album is titled, Singles, and is available March 24. Joining Future Islands will be Jenn Wasner and Andy Stack of Wye Oak, a Merge Records band. They produce a folk sound meshed with melodic arrangements and a splash of electro-pop. This album features Jenn sharing her new talent with the bass combined with the reliable interaction of Andy playing the keys, drums and back-up vocals. Wye Oak's latest album, Shriek, is available April 29 on the Merge Records website. These bands are also playing to a sold out, packed house. The doors open at 7 and the show starts at 8 with Ed Shrader's Music Beat. 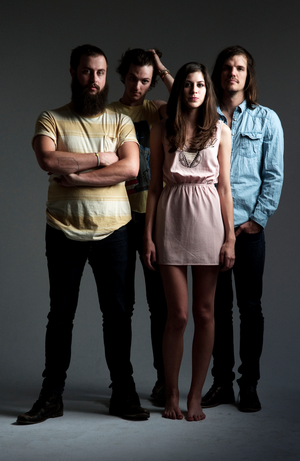 This unforgettable week will close with Houndmouth playing Friday, March 7. This electric-folk band is known for creating bouncy beats with guitar riffs accompanied by melodic harmonies. The band was created in New Albany, Indiana and formed in 2011. Things progressed quickly once they joined as a quartet and decided on their sound. Matt Myers, Katie Toupin, Shane Cody, and Zak Appleby have had the fortune of opening for several notable acts; the Lumineers, Alabama Shakes, and Drive-By Truckers, just to name a few. Supporting bands with such a strong fan base allowed them to gain their own following and are now headlining their own shows. Houndmouth is not yet sold out, so get your tickets before they're gone for $15/$17. The doors open at 7 and the show starts at 8 with rayLand Baxter. For more details about these shows, please visit the Haw River Ballroom website.